Sir Anthony van Dyck (1599-1641) was the greatest painter in seventeenth-century Britain. Though trained in Flanders, he had a huge impact on British cultural life as the principal painter at King Charles I's ostensibly elegant court, where his impact was similar to that of Hans Holbein at the court of Henry VIII. Van Dyck was born and trained in the great art centre of Antwerp. He made a brief visit to London in 1620-21 before returning in 1632 to King Charles I's court. Intensely ambitious and hugely productive, he re-invented portrait-painting in Britain, retaining his pre-eminence until his premature death at the age of 42. 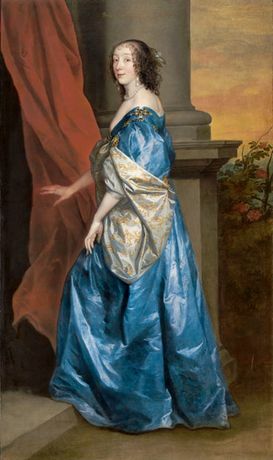 Working in a period of intense political ferment during the run-up to the British Civil War, van Dyck portrayed many of the leading characters of the period. His iconic portraits of King Charles I have shaped our view of the Stuart monarchy, while the compositions he used influenced many future generations of British painters. This visually sumptuous exhibition brings together some of the finest and most magnificent paintings that van Dyck produced during his years in Britain. It also reveals his continuing visual legacy through portraits by artists from the eighteenth to twentieth centuries, including Sir Joshua Reynolds and John Singer Sargent. Featuring loans from The Royal Collection and The National Trust, this exhibition explores the context of van Dyck's key English works, examining his innovative approach to painting the British elite. It also looks at his use of costume and his luscious, sparkling depiction of the rich fabrics of the period, and how his art was itself influenced by more local British painting.